As you may know I have given up on most store bought products that aren't natural as your skin absorbs almost 80% of everything that is applied to your skin directly into the bloodstream and I don't want that to be chemicals. 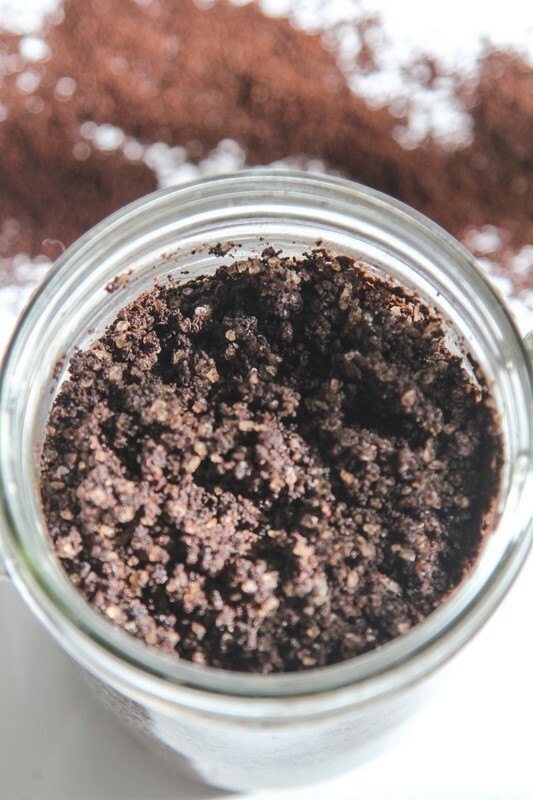 I've recently tried making this coffee scrub which is made of only three ingredients and works amazingly. You feel so fresh and regenerated afterwards. It can be used once a week, which is what I do, or every day. I never thought I'd love using it so much!! Melt the coconut oil and mix all ingredients together. Yes, it's that easy and ready for use. It will hold for a long time if places in an airtight container.